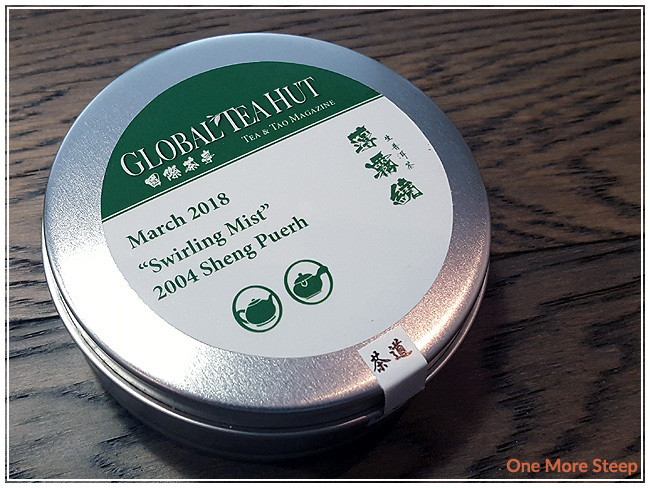 Global Tea Hut has provided me with their March 2018 issue of Tea & Tao Magazine with a sample of “Swirling Mist” for the purposes of providing an honest review. 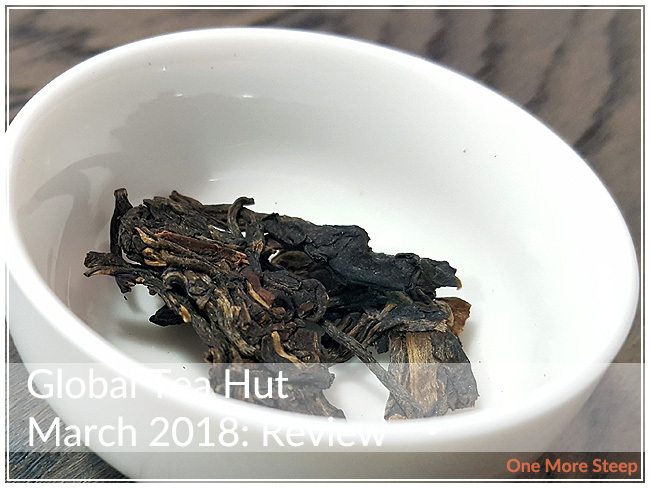 When I was first contacted by a representative of Global Tea Hut, I wasn’t quite sure what to expect. A tea magazine? Why not! It came to me in the post from Asia, so it did take a little while to reach me in Canada. The magazine is a beautiful 60+ page magazine with full colour, glossy pages, and no advertisements. The March 2018 issue talks about several different locations where tea is grown, harvested, and processed. 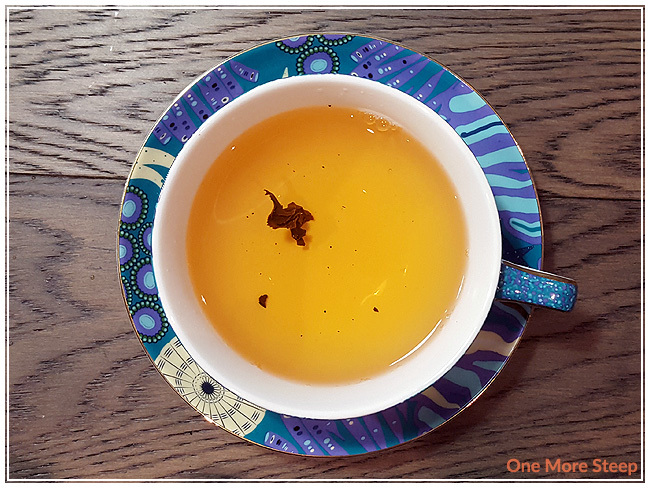 There’s even a full feature on the tea of the month, as well as a feature on a Tea Wayfarer, which I’ve come to learn is a regular feature on a Global Tea Hut member. “Swirling Mist” is a 2004 Sheng Puerh, it came to me in a metal tin that’s lined with rice paper to help protect the tea. The aroma from the dry leaf is actually very mild, I found it to be a little bit earthy. There were some leaves that were heavily compacted, just from how the puerh was made into a cake. Global Tea Hut recommends steeping Swirling Mist in 98°C (208°F) water and suggested steeping it gong-fu method up to 20 times. It’s a bit of a time consuming method, consisting of very short steeps. I opted to steep in 100°C (212°F) water for an initial steep of 2 minutes. Swirling Mist steeps to a dark gold colour. I found that it had a smooth, pleasant mouthfeel. There’s some earthiness in the flavour – something that reminds me of mushrooms, and also sweet plums. It makes for a very pleasant cup of tea, and I don’t say that very often about pu’erhs. I resteeped Swirling Mist a total of eight times (nine steeps total). 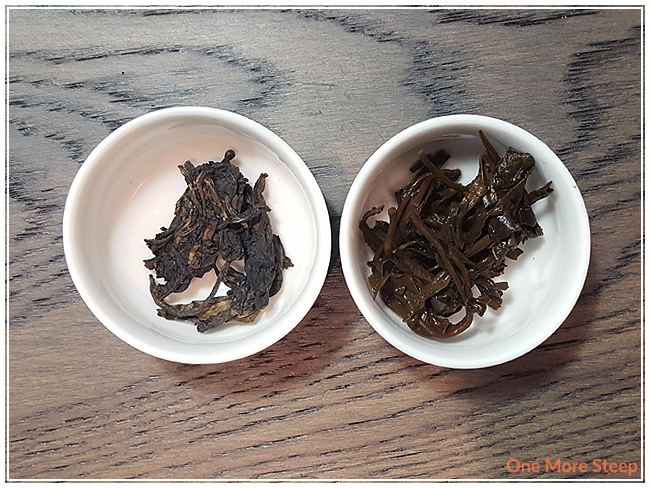 I found that the flavour stayed strong and consistent throughout, until about the sixth resteep – which is when the flavour started to decline a little bit. I added an extra 30 seconds for each additional steep and found that the tea stayed smooth and enjoyable throughout each steep. 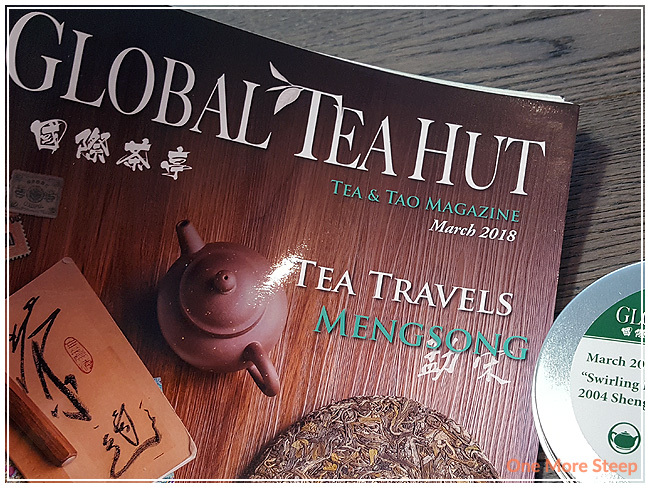 I loved Global Tea Hut’s March 2018 issue of Tea & Tao Magazine along with Swirling Mist. I really enjoyed reading the magazine, and learning more about the kind of places where tea is grown and harvested. 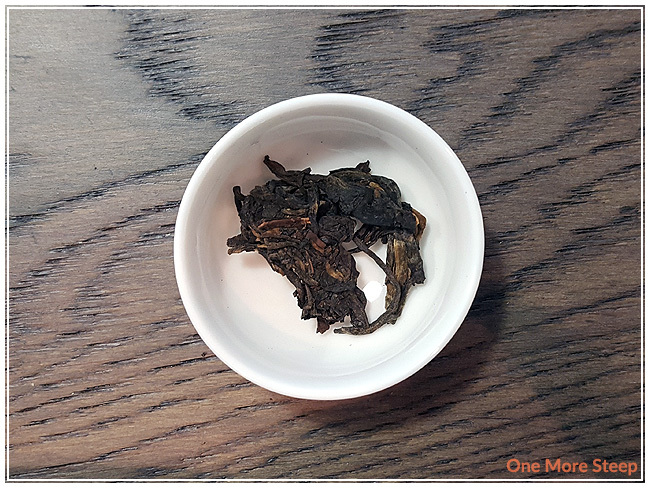 The pu’erh was a really nice treat to have, I’ve been disappointed in the past before with pu’erh tea, so I was very pleased that I enjoyed this one. I think for the cost, you do get good value if you are interested in learning about tea farms and the process of making some of your favourite teas.